If you have ever wanted a classic cedar canoe or piece of canoe inspired furniture, now is the time! For a limited time, up to $1000 off select cedar canoes and $500 off select furniture items! We'll meet you at the beach. Built upon custom designs, updated for the finest handling, maneuverability, and speed. Langford’s master builders, blend high functioning, time-tested designs with constant meticulous refinement to obtain peerless performance. Need help choosing your next canoe? Explore by activity by using our selector tool to help you find the model right for you. Langford Canoe offers a wide range of models ranging from recreational to back country expedition that will suit any paddler. 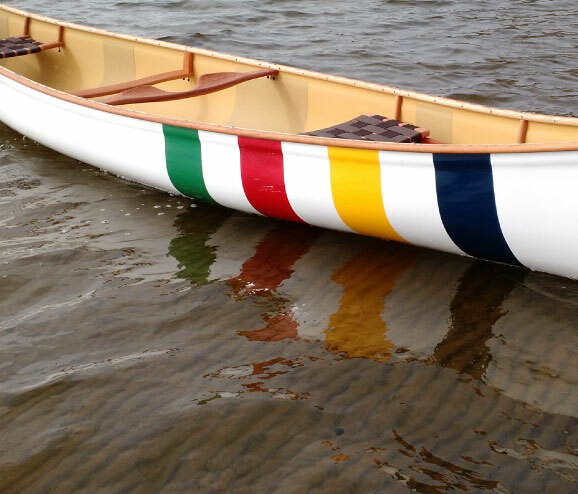 As Canada’s Oldest Canoe Company, Langford has been designing and manufacturing Cedar Canvas Canoes for over 75 years. As time progressed and as materials advanced, Langford began building Fiberglass, Kevlar and high tech Carbon Fiber Canoes. For 70 years Langford has justified great expectations with our wide range of canoes. Langford’s Master builders have seven decades of canoe design and building experience.